A Ray of Vishnu, a saktyavesa ãvatãra, His Divine Grace Bhaktisiddhanta Sarasvati Thakura fought against the darkness of caste-ism, atheism, British cultural chauvinism, sensualism in the name of spirituality, and all kinds of false doctrines which had a stranglehold on India in the 1920’s and 1930’s. Triumphant in his attempts, he ignited a spark which created spiritual conflagration which is still burning brightly throughout the world today. He produced, as his disciple, Srila A. C. Bhaktivedanta Swami Prabhupada, founder-acarya of the International Society for Krsna Consciousness, who brought this great science of self-realization on his order to the world. I offer my respectful obeisances unto His Divine Grace A.C. Biktivedanta Swami Prabhupada, who is very dear to Lord Krishna. having taken shelter at His lotus feet. Our respectful obeisances are unto you, O spiritual master, servant of Sarasvati Gosvãmi. You are kindly preaching the message of Lord Caitanyadeva and delivering the Western countries, are filled with impersonalism and voidism. This volume, which is a brief biography of Om Visnupada Sri Srimad Bhaktisiddhãnta Sarasvati Gosvämi Prabhupãda, is meant to be a humble offering at his lotus feet through the agency of my spiritual master, Om Visnupãda Sri Srimad A. C. Bhaktivedanta Swami Prabhupãda. I hope he will be pleased that I am attempting to glorify the amazing activities and words of his spiritual master, which I have been relishing very much over the past few months now. I am feeling much closer to my spiritual grand-father and much enlivened by his association and instruction. Sometimes devotees claim that to attempt to relish the writings of other acãryas is offensive and constitutes “jumping over”. Historically, Srila Prabhupada was at times known to discourage some of his disciples from reading Srila Bhaktisiddhãnta Sarasvati Thäkura’s books and emphasized that they should read his (Srila Prabhupada’s) books. The point, of course, is that one must always first worship and honor his ãcãrya, his link with the sampradaya, and fully familiarize himself with the teachings of his spiritual master. However, it is not eternally forbidden to enter into the writings of Srila Bhaktisiddhãnta Sarasvati Thakura, as we know that Srila Prabhupãda permitted us to read his commentary on the Brahmã-samhitã and in one letter to Hayagriva, dated November 16, 1969, he commented, “Articles written by my Guru Maharaja can be published without any hesitation . After all, who are those siksa-gurus who Prabhupada calls desire trees, whose mercy he invokes at the beginning of this essay to “remove all of my sorrows”? Are they not the spiritual masters in our line, the commentators of the Srimad-Bhagavatam and other Gaudiya literatures? Furthermore, if it is jumping over to read the books of previous acarvas, then what will we make of such statements in Srila Prabhupäda’s books. 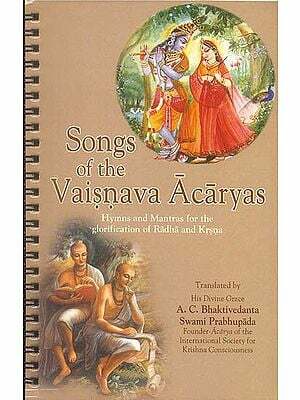 It is certainly a principle in our Gaudiya Vaisnava philosophy that the writings of previous ãcaryas must be studied and those ãcãryas must be worshipped. It isn’t jumping over to do so. Jumping over implies disrespect or disregard of the spiritual master. For example, Vallabha Bhatta thought the commentary of Sridhara Swami inferior to his own and wanted to criticize Sridhara Swami, saying, “I have refuted the explanation of Sridhara Swami. I cannot accept his explanation . . . he is inconsistent in his explanation and cannot be accepted as an authority.” Lord Caitanya smilingly replied, “One who does not accept the Swami (husband) as an authority, I consider a prostitute.” This is jumping over— disrespecting the conclusions of the previous ãcarya and going to the predecessor ãcãryas. We have seen some of this in our movement, as in the case of one Sanskrit scholar defying Prabhupãda’s orders and thinking he was more advanced, going to Rädha-kunja for “higher association” with other sddhus, changing the tilaka, criticizing Srila Prabhupada’s chanting of Gayatri, etc. Each guru in our sampradaya is a unique personality (guru is one and different), who can be personally approached and worshipped. Naturally, this worship begins with our spiritual master, his form, his order. his books, etc. Acaryopãsanam—one’s aim of life should be to serve the acaryas. In any case, where do we find the essential teachings and intruc— tions of Srila Prabhupada? In his books. So far as I know there is not a single statement suggesting that we cannot worship Srila Bhaktisiddhãnta Sarasvati Thakura or any of the members of our disciplic succession. So far as reading the books of the acãryas, if we go by Srila Prabhupãda’s purports, this is also suggested. No one is denying that Srila Prabhupãda at times discouraged certain disciples from this practice. However, it seems clear that it had to do with particular situations or crises, either personal or societal in which a disciple or disciples misunderstood Srila Prabhupada’s position, or when a disruption of our Movement was being fomented by persons inimical to Srila Prabhupãda. Those instructions were not meant to be held as eternal principles. Worshiping the acaryas and studying their literatures is an established principle of our philosophy, which is clearly espoused in Srila Prabhupada’s books. We must follow them. We have to understand particular instructions in the light of the overall siddhanta. An illustrative case in point: the Radhã-kunda controversy. In 1976, Srila Prabhupada was questioned about bathing in Radha Kunda- was it all right? He gave assent and guidelines how it must be done: with utmost reverence and respect. Devotees went and a number of them began to sport, splash and behave frivolously. Srila Prabhupada found out, became furious and banned bathing in Radha-Kunda. However, Srila Prabhupada’s purports from Sri Upadesamrta and the acaryas commentary clearly enjoin us to take bath there. What is to be done? Srila Prabhupada gave permission according to time, place and circumstance and withdrew it likewise. The injunction however to bathe in Radha-Kunda is set down in scripture in a permanent form, including Prabhupada’ s purport. We can understand Prabhupada’s anger had to do with the neophyte attitude of enjoying spirit, offensive to Srimati Radharani and not to the spiritual principle of bathing in Radha-Kunda. The conclusion is that we should adopt the serious, mature, reverential mood desired by the acaryas and take bath there for our eternal, spiritual benefit. We must therefore worship the äcaryas and study their writings as tar as we are able to do so. Naturally such worship begins with our spiritual master. This book is an attempt to worship Srila Bhaktisiddhãnta Sarasvati Thakura. It is certainly flawed and incomplete in many ways, but certainly the subject matter is not, and therefore it has value. Such histories have value. By hearing of our spiritual lineage, we feel love, pride and inspiration. We feel inspired to know what we are a part of. We feel inspired by their pure examples, their exalted and purifying words, their deep realizations. We begin to feel transcendental pride in our spiritual ancestry—we realize that we are connected in parampara to the greatest personalities in the universe—the most renounced, most intelligent, most humble, most pure, most ecstatic personalities in the universe. We can have a relationship with them. The are heaving us upward. They are actively giving us association. They constitute the real, eternal, living family of the spiritual world. Having had the good fortune to live in Vrndãvana for eleven years, from 1976 to 1987, I was able to collect various books, articles, tapes, etc. about our Vaisnava ãcaryas, and I am still collecting them. On the appearance and disappearance days of the great ãcãryas and eternal associates of the Lord, as well as the various incarnations of the Lord, often got the chance to give classes about these personalities noted with satisfaction the enlivenment of the Vaisnavas. Several of my good friends encouraged me to write these histories in a permanent form, instead of eternally hoarding them in dog-eared files, which was my miserly practice.Being much afflicted by ignorance, I was slow to do so.I was further afflicted by doubts about my ability to present things properly, but I thought that even to attempt to glorify these transcendental heroes was in itself auspicious and perfect, even though I am personally honeycombed with anarthas. 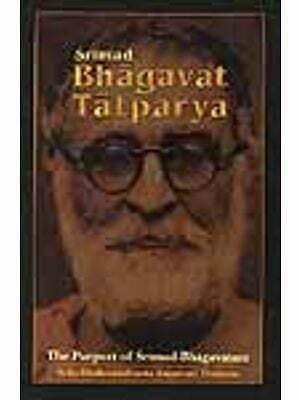 I hope that the devotees will be satisfied and that I will be able to bring out many more volumes for the pleasure of the devotees and any other interested souls who may chance to read them. There were also a number of other essays and books by Bhaktisiddhãnta Sarasvati Thakura, including his life sketch of Gaura Kisora dãsa Babaji called Amara Prabhura Katha (The Character of Paramahamsa Srila Gaura Kisora Dãsa Gosvämi), which supplied some especially valuable quotes and historical references. In the accompanying appendix there are also a good number of quotes from Srila Prabhupãda’s books, letters and tapes. I would also like to thank my loyal friend His Grace Jnanagamya Prabhu for supplying me a suitable residence for the composition of this book, and thanks also go to my good wife, Candrikã-devi, who has always encouraged me in my writing endeavors. I offer my obeisances to all of the readers, and to my eternal spiritual master, His Divine Grace A. C. Bhaktivedanta Swami Prabhupada, and to my parama guru His Divine Grace Bhaktisiddhanta Sarasvati Gosvãmi Maharaja Prabhupada, again and again, invoking their blessings for the success of this attempt to praise the acaryas .